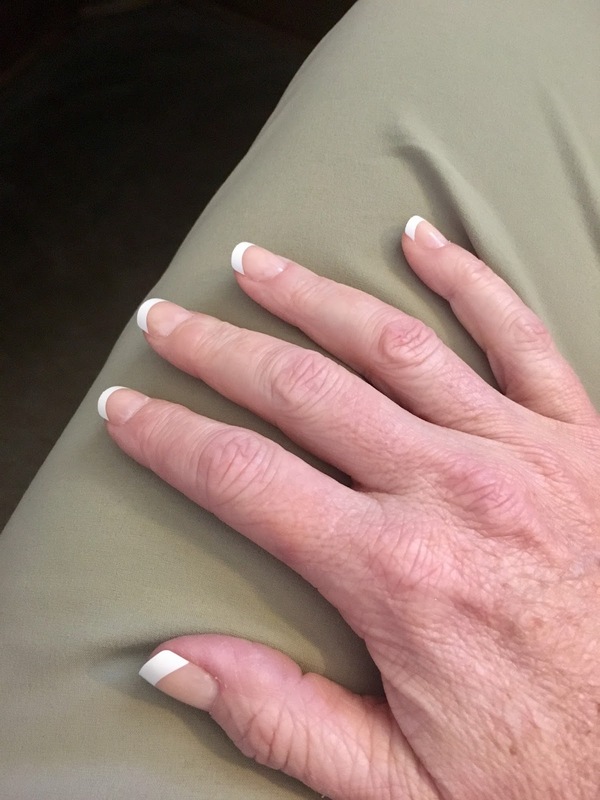 My next experiment with new, modern press-on nails was another Kiss product, along with a new type of nail glue. I decided a brush-on glue might serve me better than the tube in terms of mess-making. Here's what I bought: Kiss Everlasting French in Really Short. 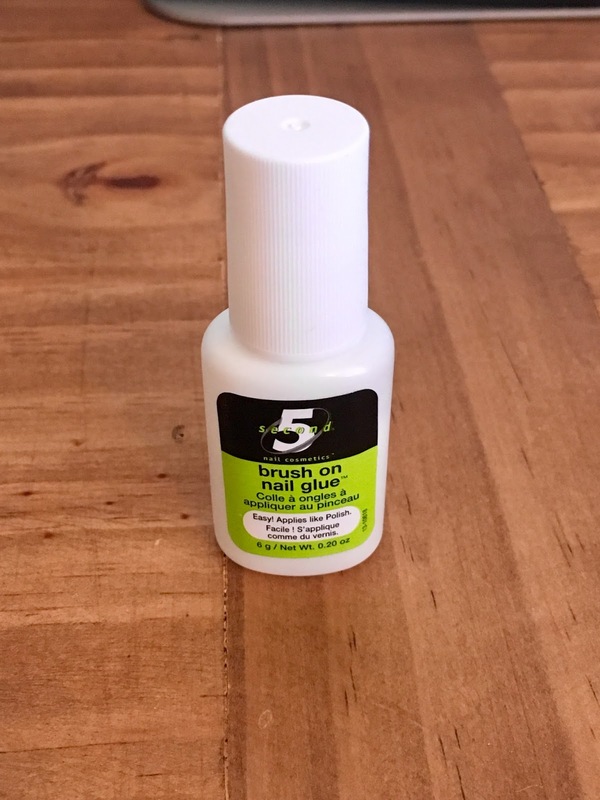 Here is the nail glue I bought: Brush-on nail glue from 5 Second Nail Cosmetics. As you can see, lifting appeared almost immediately. There clearly wasn't a good seal between the nail bed and the artificial nail. You can literately SEE the water bubbles between my nail bed and the artificial nails. I took them off after less than 24 hours of wear. Because again, NO FUNGUS. 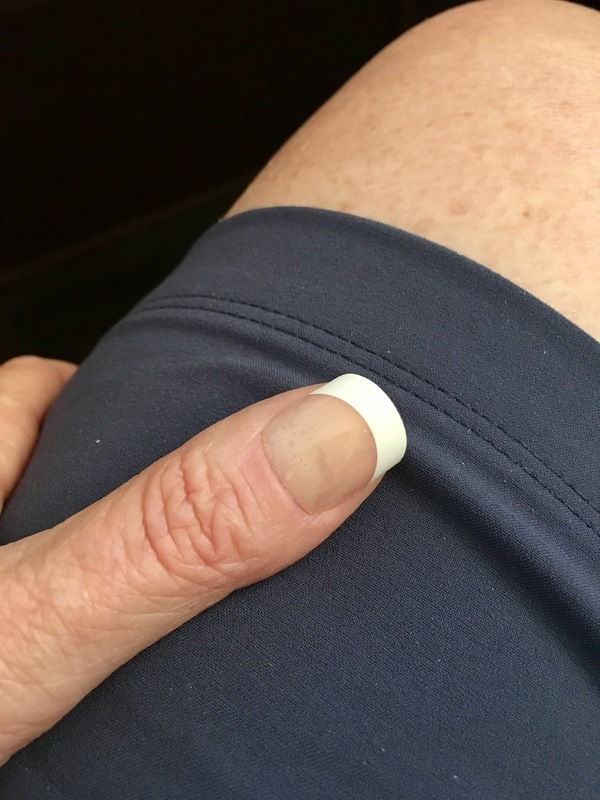 I believe the reason they lifted immediately is that the brush on glue does not provide enough volume to fill the ridges on my nail bed. The reason I need false nails to begin with is that my nail beds are permanently damaged from slamming doors on them, living in a not-friendly-to-nails environment for many years, and generally ignoring them for decades. There are ridges, and places that are so weak they crack in the same place no matter what I do, and bumps, and in one case, an actual deformed nail bed from slamming a door on my finger when I was still growing. It's all lopsided and grows in a curve. Weird. 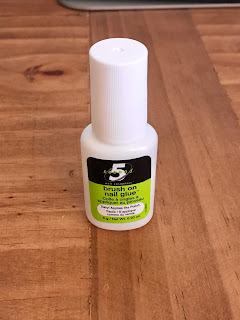 Pros: The nail glue was much more tidy to apply than the tube. Cons: Immediate lifting due to a incomplete seal. The "Really Short" length from Kiss is exactly as advertised - REALLY SHORT. Too short for my preference. Verdict: A nice try, but I'll probably toss this nail glue and stick with the tubes, messy as they are. I'm still sold on the Kiss brand product, but prefer their "short" and "medium" lengths. Next up: imPRESS one-step gel manicure with dual-layer adhesive.